Data source: Census and Statistics Department, HKSAR, 2001. 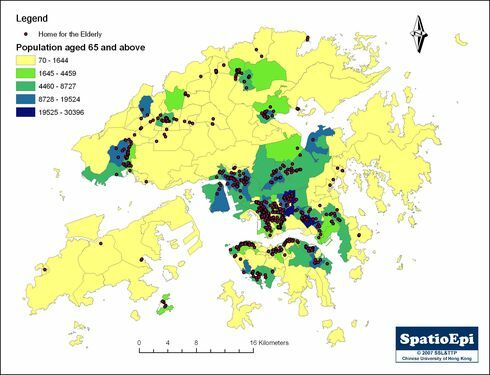 Map created by Wong Ngai Sze, Department of Geography & Resource Management, CUHK. A population pyramid is a graphical illustration of the age distribution of a population. The shape of the population pyramid varies with birth rate, death rate and mobility as a result of migration. 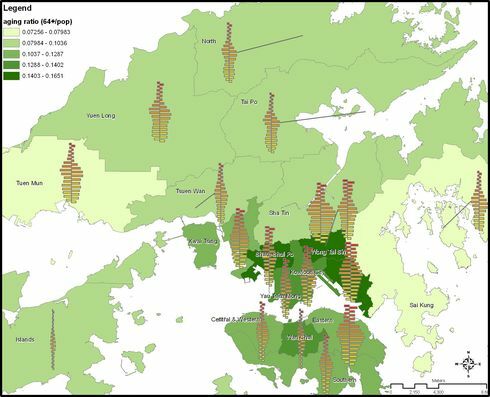 The population pyramid of Hong Kong does not fit into any standard shape. The group tip reflects an increase in elderly population while a contracted base is contributed by a low birth rate. Health correlation and mobility patterns have also shaped the pyramid, with slight variation across districts. 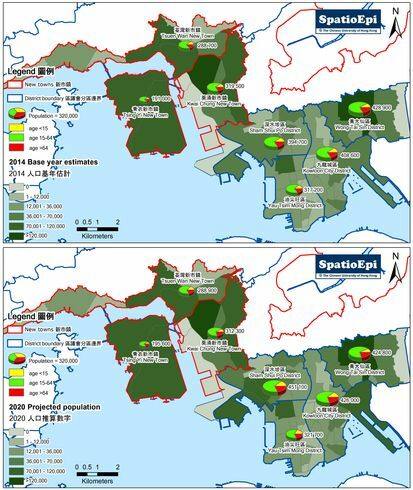 According to the Hong Kong Population Projection 2004-2033 Census and Statistics Department and Report of the Task Force on Population Policy, Hong Kong population is projected to increase from 6.8 million in mid-2003 to 8.38 million in mid-2033, with a continuous ageing trend. The proportion of those aged 65 and over is projected to rise markedly from 11.7% in 2003 to 27% in 2033. Since people are going to live longer, how to achieve a better quality of life amongst elderly population will be a new challenge for the health professions.